(RFE/RL) — Just one year after his confirmation as Republic of North Ossetia-Alania head, former prime minister and brewery magnate Vyacheslav Bitarov is facing multiple challenges, ranging from allegations that the parliamentary elections held on September 10 were rigged to the presence of militants reportedly affiliated with the extremist group Islamic State (IS). Those circumstances might strengthen the position of Bitarov’s most serious political rival, Vladikavkaz municipal council head Makharbek Khadartsev. The election results could also signal an end to the tacit alliance between Bitarov and Arsen Fadzayev, who heads the local chapter of the Patriots of Russia party. The parliamentary elections were problematic from the outset. The outgoing parliament had passed legislation late last year under which the 70 lawmakers are now elected not under the previous mixed (majoritarian/proportional) system but exclusively from party lists. Vitaly Cheldiyev of the Patriots of Russia parliamentary faction, who initiated that law, told RFE/RL’s North Caucasus Service that it would promote the development of a genuine multiparty system, but it was not generally perceived as such. On the contrary, it was widely deplored as the most anticivic law of the year. Of the 13 parties that initially applied for registration, only eight succeeded. Communists of Russia was barred from the vote on the basis of a formal complaint by its rival, the Communist Party of the Russian Federation (KPRF), that 40 of the 69 candidates on its party list were not residents of North Ossetia. Communists of Russia retaliated by calling for the KPRF to be similarly stripped of its registration for unspecified violations. A court in Stavropol Krai acceded to that request, but Russia’s Supreme Court overturned that ruling after KPRF Chairman Gennady Zyuganov lodged a formal protest with Russian President Vladimir Putin. The Party of Veterans, Yabloko, the Russian Socialist Party, and the Russian All-People’s Union were all denied registration on the grounds that a large proportion of the signatures submitted in their support were deemed suspect. One deputy head of the Central Election Commission resigned in early August, and a second was dismissed just days before the vote. Critics of the voting, in which turnout was officially given as 56.6 percent, say it was marred by fraud, including instances of ballot-stuffing and failure to seal ballot boxes; but the Central Election Commission refused to accept as evidence of fraud three videos posted on YouTube of precinct officials cramming stacks of ballot papers into ballot boxes, the news portal Caucasian Knot reported on September 12. Yet despite that apparent intervention in favor of the ruling United Russia party, the official returns showed a 5 percent decline in support for the party, from 64.3 percent in 2012 to 59.23 percent — the lowest percentage registered in any of the six legislative elections held simultaneously across Russia that day. By contrast, United Russia garnered 70.77 percent in Krasnodar Krai and 68.99 percent in Penza Oblast. But thanks to the switch to the fully proportional system, United Russia nonetheless ended up with 46 parliament mandates, one more than in 2012. Patriots of Russia placed second with 15.71 percent of the vote, down from 20 percent in 2012, which translated into 12 mandates, three fewer than before. A Just Russia placed third with 10.1 percent of the vote and seven mandates, up from 7.1 percent and five mandates in 2012; the KPRF received 6.61 percent, marginally less than in 2012, and retained its five mandates. Liberal Democratic Party of Russia (LDPR) Chairman Vladimir Zhirinovsky, whose party reportedly received only 2.5 percent of the vote, has demanded a recount. Oleg Eydelshteyn, who heads the LDPR chapter in North Ossetia, told the news agency Regnum that his party received 10 percent of the vote. Fadzayev, a former wrestling champion who enjoys considerable popular support, has not made any formal comment on the election results. In 2012 and for the duration of then-republic head Taymuraz Mamsurov’s second term, Patriots of Russia was the republic’s most influential opposition party. But Fadzayev threw his backing behind Bitarov when the latter was installed as republic head last year. Neither has Khadartsev publicly commented on the election outcome. A former business rival of Bitarov — he owns the republic’s second-largest brewery — Khadartsev came out openly against Bitarov following the appointment early this year of a new republican election commission from which all the candidates proposed by the Vladikavkaz municipality were excluded. 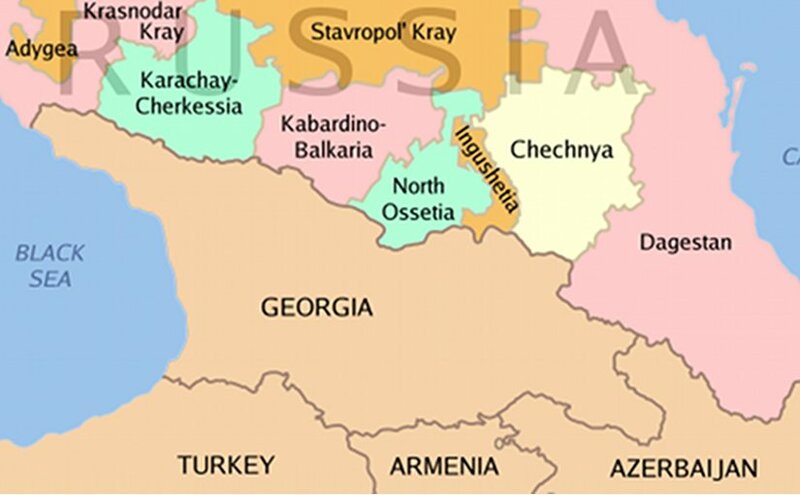 (The city is home to approximately half of North Ossetia’s total population of 704,000.) Khadartsev also took Bitarov to task for naming as republican health minister a Russian from outside North Ossetia who immediately dismissed the chief medical officer at the republic’s largest hospital. At least a dozen medics resigned in protest and were immediately offered jobs by Chechen Republic head Ramzan Kadyrov. The website On.Kavkaz reported in early March, citing unnamed “sources close to the government,” that Khadartsev, hitherto aligned with United Russia, was considering running for parliament on the ticket of Party of Action (Partia Dela) which is virtually unknown in North Ossetia. That information proved wrong, however; the Party of Action did not even apply to register for the ballot. Khadartsev did, however, initiate a new attack on Bitarov in the run-up to the September elections. In late August, the Vladikavkaz municipal council addressed a letter to North Ossetia’s law enforcement agencies deploring the criminal charges brought against former Mayor Sergei Dzantiyev. A search warrant was issued for Dzantiyev late last year, and he has been charged in absentia with squandering some 75 million rubles ($1.299 million) from the city budget; the municipal council says those expenditures had been officially approved. Even assuming that Ella Pamfilova, chair of the federal Central Election Commission, chooses not to probe the reported irregularities as ruthlessly as she did analogous alleged violations last year during voting in Daghestan for the Russian State Duma, the outcome of the North Ossetian vote is likely to compound popular antagonism to Bitarov, which has reportedly grown steadily as a result of his failure to kick-start the republic’s stagnating economy and reduce its massive state debt. That failure is seen by some as at least partly the result of Bitarov’s political experience and a chronic shortage of personnel qualified to serve as ministers or deputy ministers, according to a local journalist quoted by On.Kavkaz. One further factor, however, suggests the Kremlin may not dismiss out of hand the mounting dissatisfaction with Bitarov’s leadership. In what appears to be a classic example of what French scholar Olivier Roy recently termed “the Islamization of radicalism,” three young men from North Ossetia who had converted to Islam a few years ago were shot dead last week in a counterterror operation in the North Ossetian village of Chmi, south of Vladikavkaz. The three had recently uploaded to the Internet a video clip in which they formally swear allegiance to IS head Abu Bakr al-Baghdadi. A man from Daghestan subsequently identified as a member of the same militant group died in a shoot-out with police in Vladikavkaz later the same day. The four were reported to have been planning either to stage terrorist attacks or to have extorted money from local businessmen. In December, an aide to Bitarov said eight men from North Ossetia were among the Russian citizens fighting in Syria on the side of the opposition to Syrian President Bashar al-Assad; seven months later North Ossetian Interior Minister Mikhail Skokov told RFE/RL’s North Caucasus Service the number of people from North Ossetia wanted for their alleged involvement with IS was 35. Two suspected IS recruiters have been apprehended trying to enter North Ossetia so far this year. That IS should appear to be making inroads in North Ossetia is all the more surprising given that the majority of the population are Orthodox Christians; just 25-27 percent are Muslims, including Fadzayev. The Muslim community has been lobbying for the past seven years to regain the use of a 19th-century mosque in Vladikavkaz that was converted into a planetarium after the 1917 October Revolution but has been standing empty since the collapse of the U.S.S.R. Meeting with believers in late June to mark the end of Ramadan, Bitarov categorically rejected that request.